My husband and I got up early this morning to pick up Guitar Hero World Tour for the Wii at Best Buy. We pre-ordered it the night before. When we got there, we got a free Guitar Hero beenie, and by price matching Circuit City’s ad, we also got a $15 iTunes gc. Double Woot! I did a 45-minute Wii Fit workout today, and then decided to sit in my computer chair for a few hours to make this video. ;) Enjoy! And yes I know I sound tired. 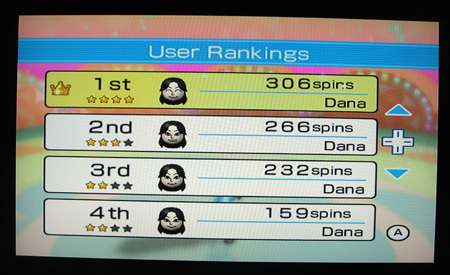 Sorry, you won’t see any videos of me doing this, but the Hula Hoop game is definitely my favorite Wii Fit game so far! And I’ve tried quite a few already too. My goal is to place on all slots of the score board before anyone even gets to try. And definitely beating my 1st place score of course. :) This game is definitely fun and healthy! My current Wii Fit age is 38.. yikes. I want to bring it down a lot by the end of the week! But it was 44 before I did the exercises! And I supposedly lost a few pounds tonight! 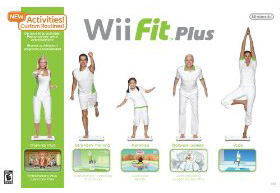 Last weekend my husband and I went hunting for a Wii Fit. We went to 3 different stores, and they were all out. New shipments come in on Wednesday. So today we decided to go Wii Hunting again.